Speaking of chocolate! I am in a chocolates and confections class after all. Earlier in the quarter we had a field trip to a local bean to bar chocolate makers, Woodblock Chocolates. There are very few bean to bar small scale chocolatiers in The United States. It is a grueling process, that takes patience, practice, blood, sweat, tears, but above all love. Not joking. You really really must have a love affair with the process and end result if you are going to go bean to bar. It is almost a ritual of a process, a beautiful dance from beginning to end. 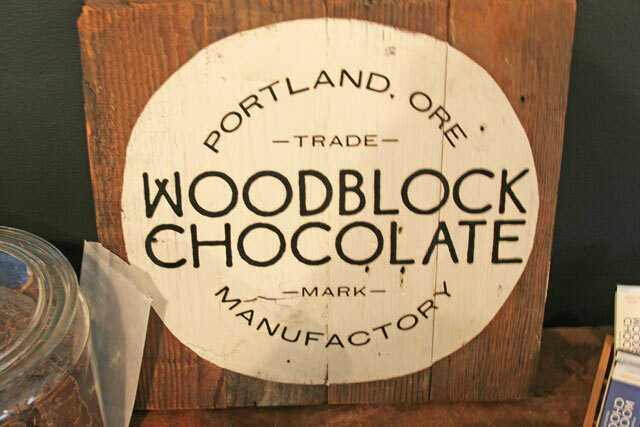 That was my experience at the Portland Woodblock Chocolate tour. I could see the love from the moment I stepped into the door. A sweet husband wife team that needed change in their lives, decided on chocolate. Again, no joke. They were wanting change, a new direction, and a family business. They talked all sorts of endeavors, and landed in Portland, Oregon with a mission to create a simple perfect chocolate bar. That is exactly what they did. 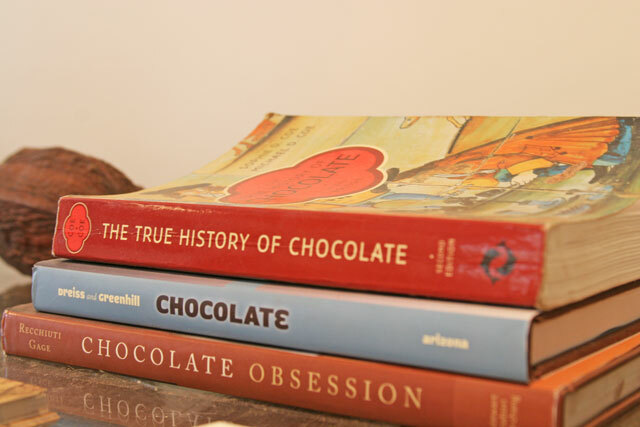 They read countless books, researched, read more, made friends in the business, and opened this wonderous land of chocolate. Their chocolate bars are so simple, highlighting the nuances of a cacao bean. Adding nothing but salt and love. It is truly a unique experience to bite into one of their creations. Notes of floral, bitterness is all its glory, or a slight briney background I never thought I would taste in a chocolate bar. It is unlike European chocolate where fat or milk is added for the creamy texture. This is special unadulterated more gritty yet beautiful chocolate. I have never had anything like it in my life, and I fell in love. It is the underdog, the scrapper coming to the top. In my humble opinion. This is a glorious bar of untempered chocolate. It is no joke what they went through to get to this bar. Thousands of pounds of beans imported from the bean belt, customs poking theirs and everyone’s else’s shipments for that matter. Doing their best to only source from family run operations that are far from modern in the beloved bean belt. Cacao only grows in a small belt around the globe called the bean belt. Smaller than coffee or any other goods. It is not regulated or controlled by anyone. Shady things still go one, these farmers don’t get top dollar from the big corporations going in and buying their beans. They in fact get near nothing for this precious commodity, The exact opposite of what Woodblock is doing. 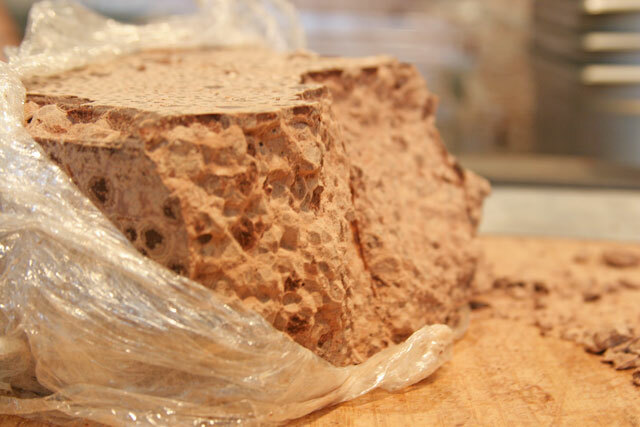 They are paying above market price to these family farmers, ensuring their product is of the highest quality and properly handled, fermented, dried, and bagged. This could go on forever, me telling you what I have learned in such a short period of time, about chocolate and where it comes from. Like many things, and many of us, we don’t really take the time to see where the things we purchase really come from. The hard work that comes from that fifty cent chocolate or the huge chocolate companies that are taking advantage of these people. I could go political here, I won’t. It would take way too long and I honestly do not have all of the information to speak of this matter in a well researched manner. But next time you buy your chocolate think twice, I encourage you to do some reading on the subject and you will be surprised where you may want to buy your chocolate next. Woodblock offers a natural and beautiful product. I hope you will give it a try. It is a unique unforgettable chocolate. You can purchase them in various location all around Portland, or visit their online store! Great gift ideas for loved ones who love chocolate. Note: This was a tour taken with my chocolate class, where I took it upon myself, with the permission of Woodblock’s owner, to write this post. The opinions stated in this post are my own, and not of Woodblock’s, my school, classmates, instructors, or anyone else’s. This looks like a fun excursion Fabiola. And it could be that I looooooove chocolate. 🙂 cant wait to meet you in person. It was awesome! Thanks for stopping by:-). I look forward to meeting as well!